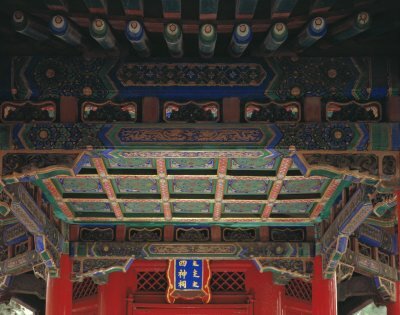 The Shrine to The Four Deities (Sishen ci) can be found east to the Hall of Imperial Peace (Qin'an dian). 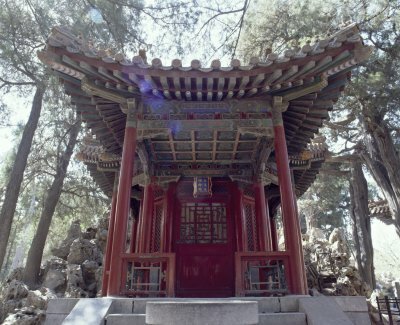 Constructed in 1536, the fifteenth year of Jiajing reign (1522-1566), the shrine housed the spirit of The Four Deities of Daoist teaching. 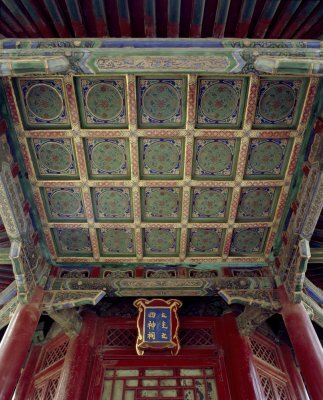 Probably modeled after the Eight Diagrams (Bagua), the architectural structure shows exquisiteness and uniqueness, with colors applied in florid style. A brick altar was built next to the south wall to enshrine the spirit tablets. Concerning The Four Deities, two different versions of argument exist: one argues that it consists of the Green Dragon, the White Tiger, the Scarlet Bird and the Black Tortoise, another version considers it as the Deities of Wind, Cloud, Thunder and Rain.